I cook to survive. I create to live. Food. Food? Food! My pantry and fridge are full to the brim with food. My head is full to the brim with inspiration….most days…and when I’m lacking inspiration there is always Pinterest. Cooking food is done to survive. But creating dishes is how I feel alive. The excitement I feel when ingredients come together and create perfection-wow! When someone pops a piece of cake in their mouth and you see their eyes light up and they say “oh my god!”-wow! We have to eat to survive, and admittedly not every meal in our house is some gorgeous awe inspiring meal. We have many nights where the plate is a basic protein, starch, and vegetable arrangement. But then there are the nights where magic happens. A perfect bread, a well seasoned and cooked duck, a deliciously creamy macaroni and cheese, these dishes are what make me happy. When the kids say “This should be in a restaurant”, you know you’ve been successful. Do not fear your fridge. Find inspiration everywhere you can. 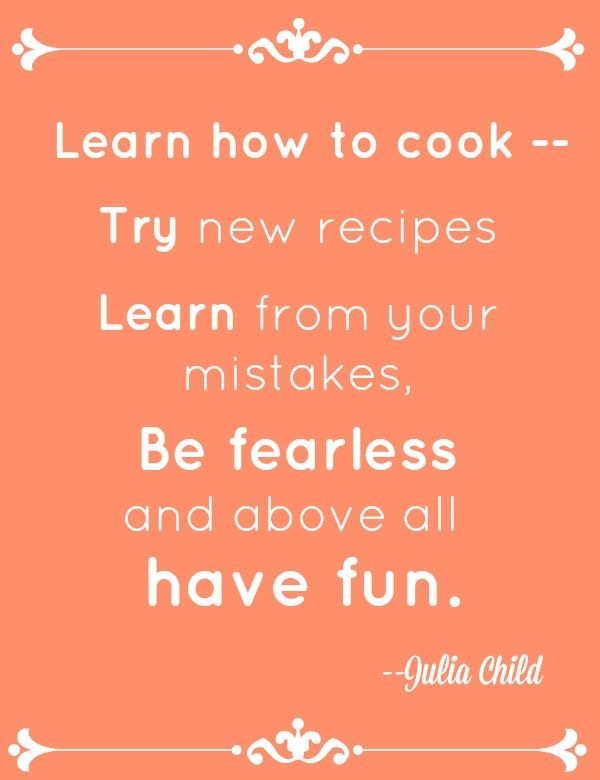 From restaurants you’ve been to or cookbooks you’ve looked at or even from old family recipes. Pinterest has been my bible lately. Type in one ingredient and be prepared to have hundreds of recipes at your fingertips.